MacDon 5 Series Drapers are designed to provide a consistent feed in even the most difficult of conditions. Providing a close reel to cutter bar relationship - A small critical gap between the reel fingers and cutter bar is maintained at all times to ensure a smooth feed over the entire width of the header. Having an active float system - This allows for instant float-response over changing ground conditions. Reel performance - Our reels offer 4 adjustable cam positions allowing you to select the position that best suits your conditions. 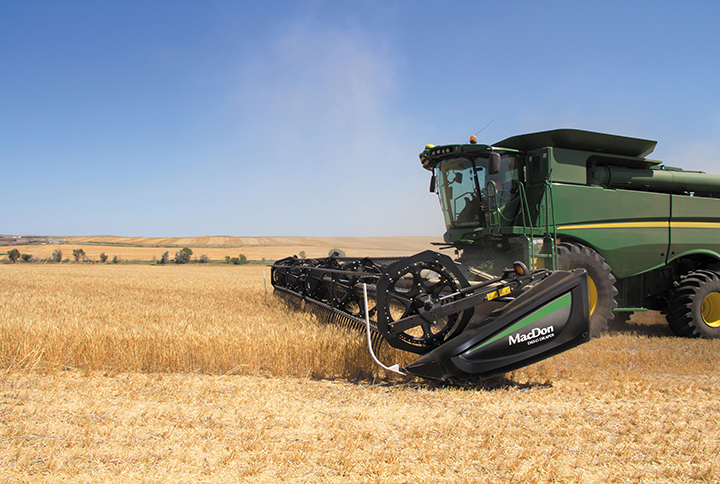 The drapers come in 2 models - so go here to find out more on the MacDon FD75 FlexDraper® and MacDon D65 Draper Header. There are many factors that influence the yield you are able to achieve when it comes time to sowing. The preparation of one of your key assets, your soil, and the system you use to do this, can have an important bearing on the outcomes you are able to achieve. 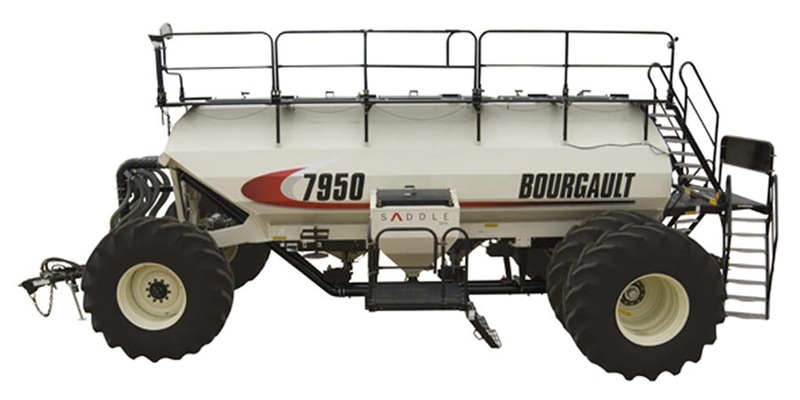 It only makes sense, then, that the system used to deliver your seed to ground is of vital importance and no one does it better than Bourgault. 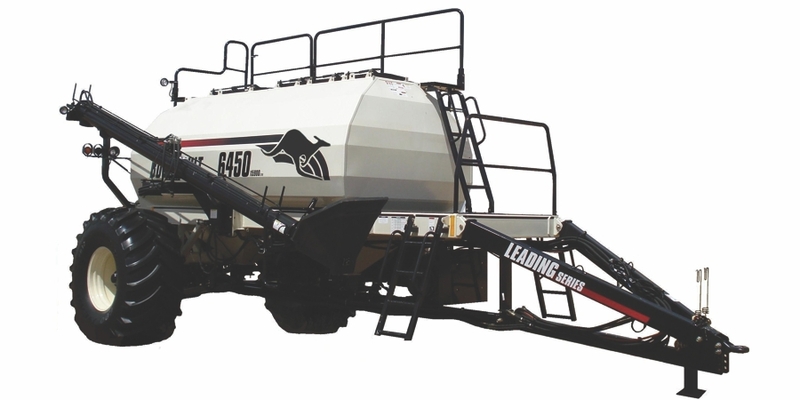 Air seeders from 550 bushels (19,400 litres) to 950 Bushels (33,477 litres). 30 to 100 feet air drills in a variety of configurations. Tillage systems performing as direct seeding systems & primary tillage. 25 to 60 feet packers. Harrows up to 90 feet in width. Equipment like mid row banders® for applying nitrogen mid row. 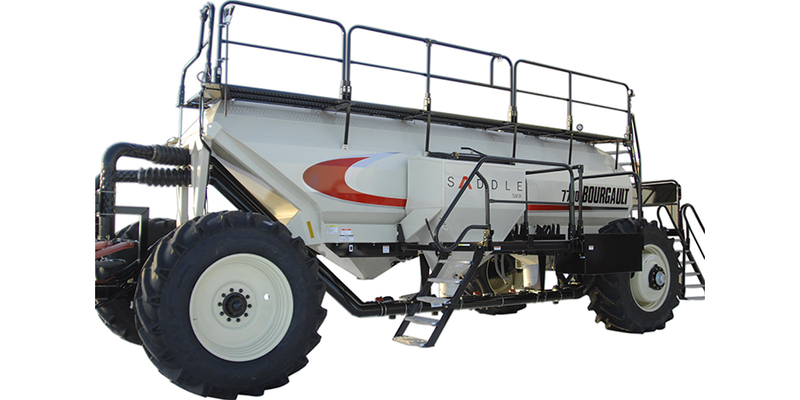 To find out more about Bourgault seeding & tillage equipment, go here.